Clachtoll Broch, Assynt » Is it baffling? Or just baffling? 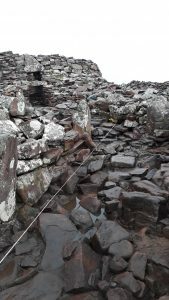 It’s well worth making your way to Clachtoll broch this week, as the archaeologists are back, exploring the entrance path at the front of the monument. There is some lovely paving just outside the entrance, and then the path seems to start bending and becoming more roughly built. You might expect the route towards such a magnificent building to be straight, highlighting the entrance, so why isn’t it? 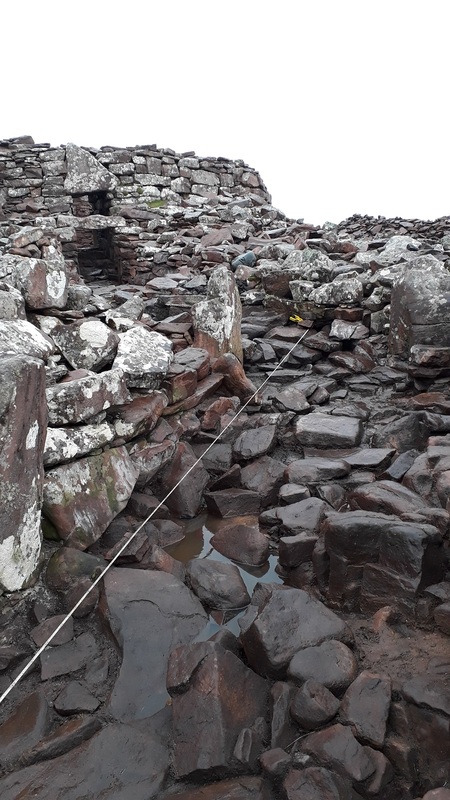 One of today’s volunteers suggested that with a straight path, wind from the north would blow straight in the front door, so perhaps the passage was built with a bend to baffle the wind. It certainly has us baffled. Where the path becomes unpaved there is a section, currently exposed, which seems to have been cobbled. 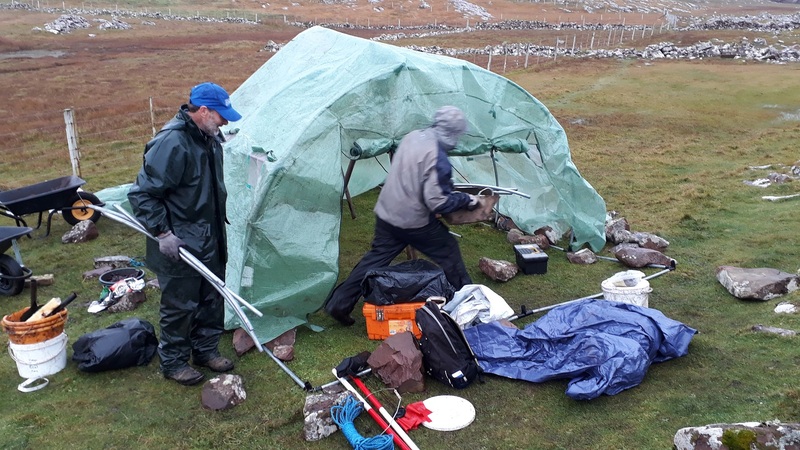 There have been some finds there of animal teeth and large piece of what looks like whale bone. There are interesting configurations of stone too close to the two standing stones on either side of the passage. Were they perhaps part of another building? The mysteries are never ending. Feel welcome to come along and add your ideas and interpretations about what we’re seeing. At the moment, your guess is as good as anyone’s.